This cheese, protected by AOC is sticky, moist and crumbly with an even spread of blue veins. Maturing takes at least four weeks from production. The taste is tart with a little saltyness. Excellent in salad dressings and superb on hot, fresh pasta. Made with pasteurised cows milk. One of the better examples of a commercially produced Brie we have come across. Mild, soft and creamy. Made with pasteurised cows milk. 1Kg whole Brie available to order only for £8.99. Please order on 01206 572200. Infinitely better than the factory produced bries.The paste of the cheese should be the colour of straw with as little as possible 'chalkyness' in the centre.The rind is white and as it ages gains a pinkish hue. Much stronger and refined flavour than factory bries. Ripens for 6-8 weeks.AOC. Made with unpasteurised cows milk. Currently awaiting new stocks. In soon. Made using a Brie de Meaux (description below). The cheese is cut horizontally and a mix of Brillat Savarin cream cheese and black truffles is layered between the two pieces of brie and the cheese refomed. Stunning cheese. Please note that this cheese is made to order in France and as such we occasionally run out for a few days. We will email if this is the case. Made using a pasteurised Brie. The cheese is cut horizontally and a mix of Brillat Savarin cream cheese and black truffles is layered between the two pieces of brie and the cheese refomed. Stunning cheese. From the same region as Brie de Meaux but far stronger, more robust and saltier. Usually ripens for upto 10 weeks before sale. AOC. Made with unpasteurised cows milk. A white mould rinded pure ewes milk cheese. Aromatic yet mild when young and full flavoured with age. Ripens like a brie and can become spreadable with age but is eaten at any stage. Made with pasteurised ewes milk. 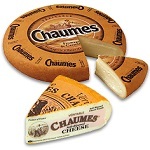 Far superior to its commercial rivals.The cheese should be creamy yellow and covered in white mould. When pressed the cheeseshould give slightly. The locals prefer the cheese half ripened.Where the centre is still white and not creamy.Best in class at 2002 World Cheese Awards. Made with unpasteurised cows milk. 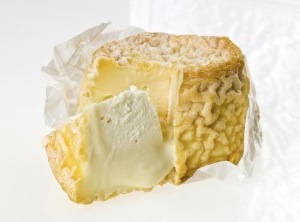 Far superior to its commercial rivals.The cheese should be creamy yellow and covered in white mould. When pressed the cheeseshould give slightly. The locals prefer the cheese half ripened.Where the centre is still white and not creamy.Best in class at 2002 World Cheese Awards. Made with unpasteurised cows milk. Sold per cheese in wooden boxes. This item is usually available from stock but on occasion we do sell out. These are delivered weekly so there may be a delay in sending your order whilst we wait for new stocks. 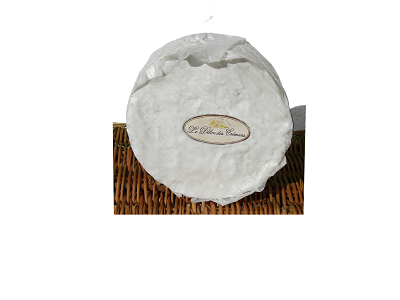 If the order is required immediately please order the cutting camembert above as this is vary rarely out of stock. 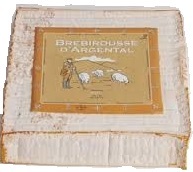 A factory produced cheese made in Aquitaine is soft, easy to eat, with practically no smell. Quite mild flavour. Made with pasteurised cows milk. Also known as Gruyere de Comte, this cheese is one of the most popular in France. It has a melt in the mouth texture and a strong, nutty flavour with a subtle, sweet aftertaste. It is a good all round cheese. Great in a sandwich or as a cooking ingredient. AOC. Made with unpasteurised cows milk. A soft creamy bloomy rind cheese. Similar to a Vignotte but softer and creamier. Made with the addition of double cream during the making process. Translates as Delight of the Cheesemaker. One of our most popular cheeses. Made with pasteurised cows milk. Suitable for Vegetarians. A favourite of Napoleon, this washed rind cheese has a strong aroma and a soft white paste that melts in the mouth with a milky,salty and metallic twang to the flavour.The rind is washed with water and marc over four weeks with the amount of marc gradually being increased. Made with unpasteurised cows milk. A very popular French Blue, not dissimilar to a milder Stilton. Semi-Soft and creamy.Only sold in rings. For information ; a 1cm ring is approx 150g. Made with pasteurised cows milk. A soft creamy washed rind cheese.Surrounded by a white penicillium candidum rind, the central pate is a bit soft and crumbly, and appears creamy in colour. It is milder than Epoisses, but slightly salty with strong smell. The firm pate melts in the mouth, leaving a complex taste. Made with pasteurised cows milk. This cheese was originally for personal consumption by the cheesemakers. The rind is natural and is rubbed. The layer of soot was originally used to keep flies away from the curd as it rested overnight awaiting the next milking.Usually matured for 2 months. mild cheese that strenghens rapidly with maturity. Made with unpasteurised cows milk. This pungent cheese is produced in the Alsace region. The paste has the texture of melting chocolate and is golden with a rich milky flavour.AOC Made with unpasteurised cows milk.